INITIALLY I POSTED A SHOW BUT NOW I AM HOLDING OFF ON IT FOR THIS WEEK DUE TO SOME QUESTIONS THAT REMAIN. HOPEFULLY I WILL POST IT LATER THIS WEEK. ARE WE HEADING TOWARD DISASTER? HILLARY RAIMO, INTUITIVE AND HEALER, IS MY GUEST THIS WEEK. Are recent events across the planet trying to tell us something? Are we going to be facing more catastrophic events like Japan? How bad will it get? Should I be concerned? What should I do? Who can I trust? We may or may not be heading into more turbulent times. It sure seems that way, but on the other hand it could be part of the planet's natural changes. What can we do to prepare, just in case? More food? More water stored away? Build a bunker? I'm sure you could do all of those things but what I'm really getting at is our own inner peace. If we are heading into a time of chaos wouldn't it be nice to have some answers from within? My guest this week may be able to help you with finding those answers. Hillary Raimo started gaining knowledge of who she was at 5 years old. What were you doing at that age? I was still playing with my Red Rider wagon. She has developed many of her inner skills and has become a voice for healing and self empowerment. Imagine facing a difficult choice but remaining calm because you know and trust who you are and your own self empowerment. Hillary Raimo, renowned expert on Multi-dimensional Healing. An Internationally known Clairvoyant, Hillary specializes in communicating how the healing process frees consciousness from the 3D of physical reality and enables the energy body to transcend time and space. Her work mixes astrology, world events, ancient cultures, sacred sites, the paranormal, and esoteric systems into a unique tapestry of intuitive insight. Her writing focuses on combining intuition and self-empowerment, to see through the current paradigms of health and well being. Hillary focuses on researching and bringing awareness to multi-dimensional living. As a writer, Hillary has published Money Matters for Mind Body and Spirit . On top of that HIllary hosts her own internet talkshow that brings in guests from all over the world. These shows deal with what many believe is going on in the world right now. Hillary is no different than any of the many other healers I have talked to on my show, they all have their own way of going about helping others. She is extremely knowledgeable. This show is not meant to frighten or create unessessary hype, instead offer you choices so you don't feel helpless. There was a time when I would have felt that way, now I don't worry a whole lot. Why? Well, when you're own father comes back to you some 12 years after he passed from a confused life, you realize that all life goes on and finds its way. You understand that what awaits all us on the other side is unconditional love. The question is, when do you want to connect with it, now, or later? Tying into what was said with Georgie Holbrook, how do you want to use the law of attaction? Hillary provides us with knowledge, and knowledge is power. DO GHOST ANIMALS EXIST? It was right around the beginning of November last year when I went to my door and saw these ghost like creatures on my deck, so I snapped a picture for evidence. Now I'm sure someone will come along and try to debunk it, right? What more proof do you need? 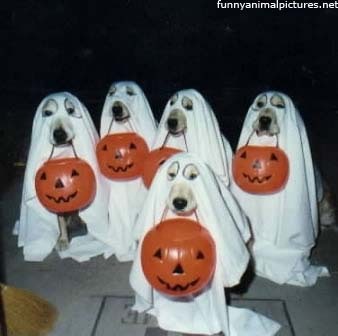 I was there, the ghost dogs were there, why are people so closed minded? When I was a lad we had this pretty amazing cat who lived with us for 17 years, I still think of him today. Sometimes he seems to come to me in dreams and sometimes, it's as if I feel his presence. Every so often I'll think of him and be a little sad. 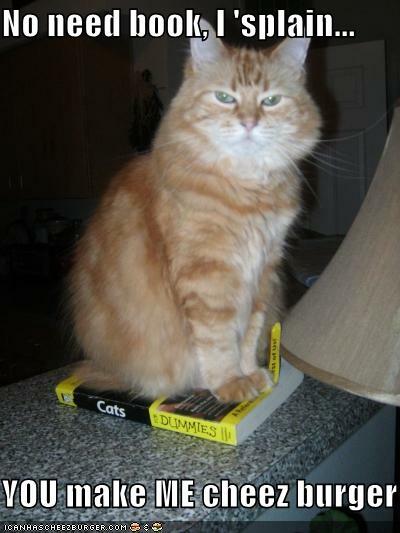 The picture I have of this orange tabby is very similar to the way ole Teddy Bear looked. Even the same kind of facial look. When he was affectionette he was all over you, when he wasn't, he would ignore you. Teddy Bear and I had some grand adventures and it's like we formed this great friendship. It was amazing how he came to our family, at just the right time when we had lost our other cat on the highway. The timing had to be perfect. We lived near a busy highway and most of our cats didn't live very long, yet Teddy Bear never got taken by the highway. There was something unique about that cat. 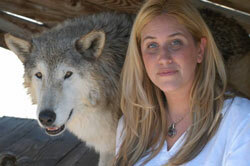 My guest this week is Jill Cornwell from Petosky Michigan who claims to have an ability to communicate with animals. I talked to her a while back and this time I invited my radio co-host Mindy Wills Davis to come on and ask a few questions of Jill. At left you will see one of three pets that Mindy has had or presently has. 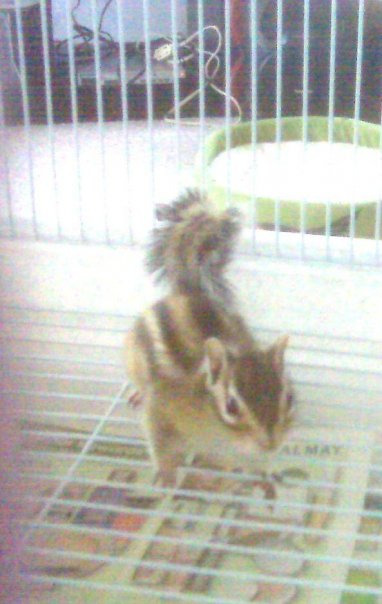 Hemy, the Chipmunk, one of Mindy's family members. Now what would a chipmunk have to say? Does it have a message for Mindy? Mindy has a dog named Sassy that passed and she has missed him dearly. Would Sassy have a message for Mindy from the other side? Is there any validity to what Jill is doing? I absolutely believe there are those who profit from this and have no ability whatsoever. Jill doesn't do this for a living, she doesn't do it that often, but it's an ability she claims she's developed and only charges $45 for a half hour. So does that make Jill more credible? Not by that alone, I can only say that I trust her and I am impressed by what she has to say. On top of that it really doesn't matter what some one charges, it's whether their heart is into it. Judge for yourself. Wouldn't it be nice to communicate with your pets, or with those that have passed? Is it possible? Aren't all things connected through thought? Are animals smarter than we think? Do they have souls as well? Do they go on? Do they reincarnate? Years ago I read a book, I have no idea where I got if from, but the book suggested that all diseases were caused by certain negative feeling and attitudes. For example: a cold could be brought on by indecision in your life. Cancer was often brought on by anger. I read that book some 20 years ago at least and I really don't know how accurate it was. Maybe 10 years ago (has it been that long?) I met Georgie Holbrook through John St. Augustine. Georgie is a former Youper (Escanaba native) and now calls Houston Texas home. 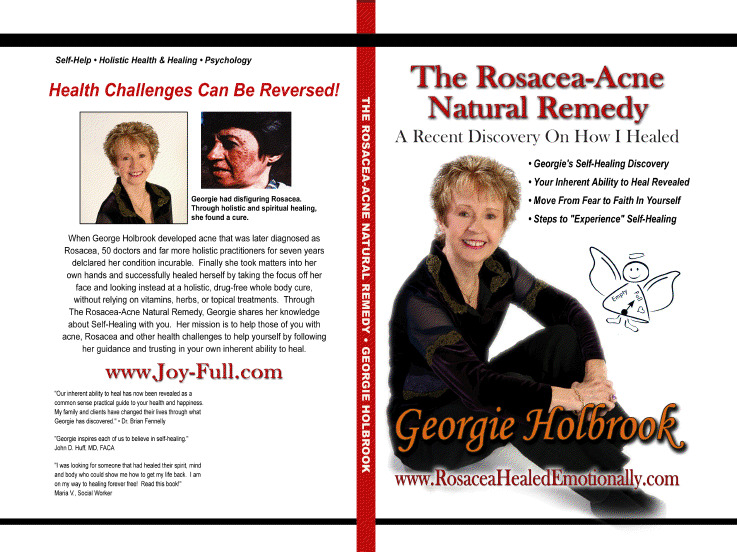 If you know her story you realize that she went through a 7 year ordeal with incurrable Rosacea. Notice her picture on the cover of her latest book. No Rosacea. How did she do that? She found the answers within, she traced the start of her illness to a previous time in her life. After discovering the root of her problem, within 9 months she was cured! At least physically, it took many years to release the emotional end of her dis-ease. Now how can that happen? What I like about Georgie is that through her experience she learned to understand the body and what kinds of thoughts will affect which organs. If someone has a heart problem, perhaps their heart is breaking, or they need to open up their heart. Does that even remotely make sense? We are the ones who create our own illnesses and we are the ones who cure our own disease. Some may agree with that, some would say it's caused by stress. Georgie takes it one step futher and offers many different options to understand why you are ill and how you can get better. Will it work for you? I think there is a good chance it could, but there are no guarantees, even with conventional medicine. I think there are many factors to consider. What if, before you were born, you made an agreement to die at age 67 from cancer and then when the cancer arrives you decide you want to live. Possible? Did you know that many people will develope cancer or a serious disease 6 months after they lose a job? Did you know that most people will have a heart attack on a Monday? Have you ever known someone who says "If I could just last til Christmas I'd be happy." And they die shortly after. My own mother said "If I could just see the Packers win another Superbowl before I go." She did in 1997 and then died later that year. Georgie is a gentle spirit who knows love (God) and joy are a part of healing. We also touch on the law of attraction which is a good idea. 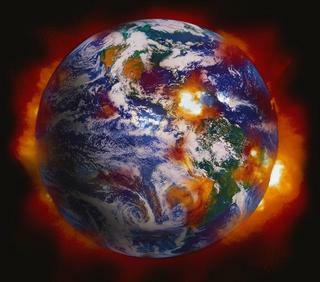 If you think you are going to be sick, or if you worry, or if you endorse that energy, guess what's going to happen? If you take away anything from this interview understand that if you let things build up inside you, it will make you sick. Look around you, how often do you see those that speak their mind sickly? Georgie says it's okay to show our emotions, we need to get it out. That's a sign! Is it? Are we given signs from time to time? I think so. People used to tell me that most things were a sign, maybe, I don't know, how would they know? Then when you ask them what it meant, they have no clue. Everybody seems to talk a good game but when it comes right down to actually living it, well that's another story. Or, here's another one, "Everything happens for a reason." If I had a buck everytime I heard that, well I'd have a lot of bucks. Well then, why does it happen? "Don't know, it just happens and I believe that." Have you bothered to explore as to why? Probably not. And that's all you get if you don't take the next step. In 2007 I came home from work one summer day and on the railroad tracks was a bald eagle, some 20 feet from my truck, and he was just staring towards my house some 70 yards away. One, what was I thinking when I bought a house this close to the tracks? Two, what is a bald eagle doing sitting on the tracks and what's so facinating about my house? I rolled down my window. "Hey buddy, how you doing." Nothing. I finally made a noise similar to one my mother would make when she was communicating with animals and the eagle turned his head slowly towards me (instead of flying off) and gave me a disparaging glare and then proceeded to turn his glance back towards my house. Now, is that a sign? And why didn't he fly off? In my opinion the eagle was an animal guide that was pointing out a few things in my life, this made more sense when I read from the book Animal Speak. 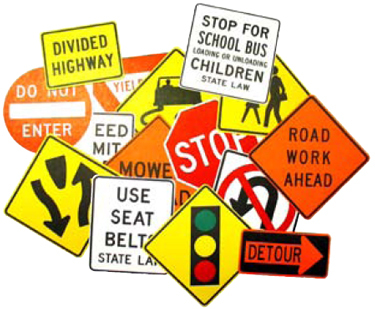 My guest this week has had many signs in his life. Some have led him to greater awareness and some have led him to more questions. John St. Augustine is a friend who I've worked with for over 10 years. He's been on my show before. John is not afraid to speak his mind, and while some may not like what he has to say, I welcome anyone who wishes to speak from their heart. John has faced many obstacles in his life, he nearly died twice, he has seen things that most do not see. John made a choice to start seeking answers and it all started with a trek he took from Rapid River Michigan to Chigago and back, on foot. Most will not walk his journey, most won't take the time, but we all can, it is always our choice and if we do- we can follow the signs. 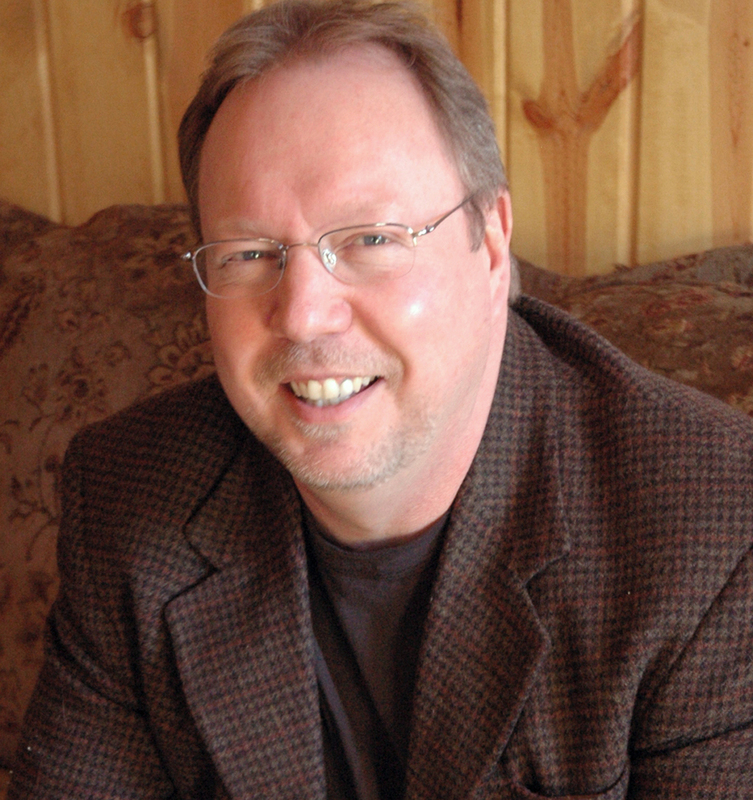 John also has a blog you can check out and has a project he's working on with Bill Curtis that may be arriving soon to a television set near you. On another note, if you're sitting around a fire anytime soon, if you get a chance throw in some tobacco and say a prayer for Bruce the Firekeeper, thank you, I send him my love and light as well.